Regions: locations where the machines are running. First, Enter the RAM in MegaBytes available for each server configured using this provider. The information message lets you know how many virtual users you will be able to start for each load generator depending on the available memory and memory usage. In our example, we can use up to 5607MB of RAM (128MB for JMeter deduced). That's about 1120 concurrent users per host. 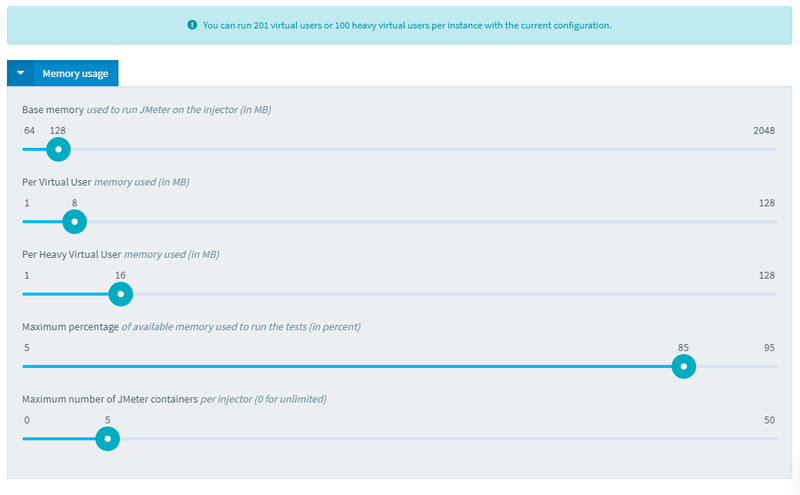 Use physical / virtual machines with same amount of memory. Otherwise OctoPerf may not balance the load on them efficiently. Create a provider per hardware configuration if you have different machines with different physical RAM available. 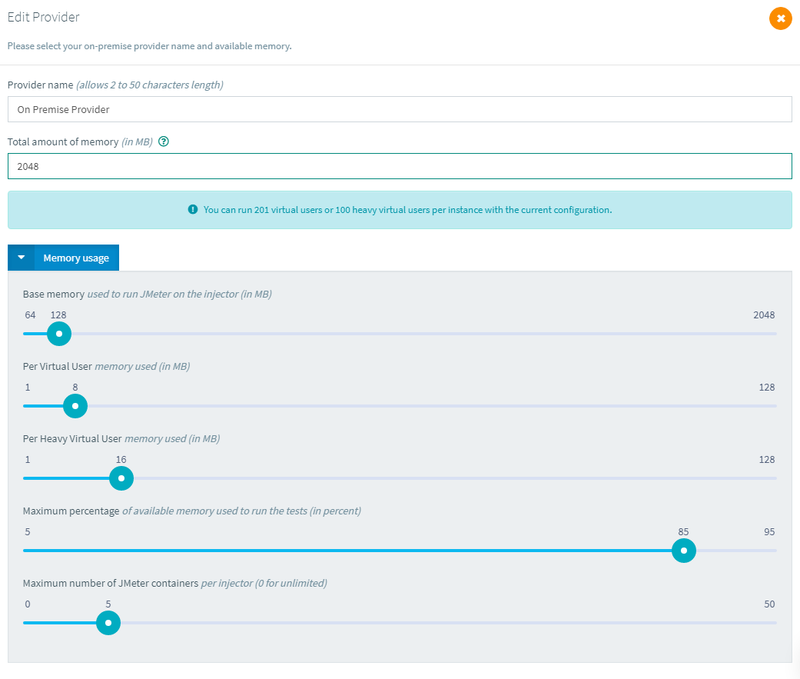 The next and last step is simple: you just need to select one or more regions if you need to differentiate the servers you are going to use to generate the user load. You need to enter at least one region before clicking on the Save button. The latitude and longitude are the GPS coordinates of the region. It is used to display them in the user profile creation. 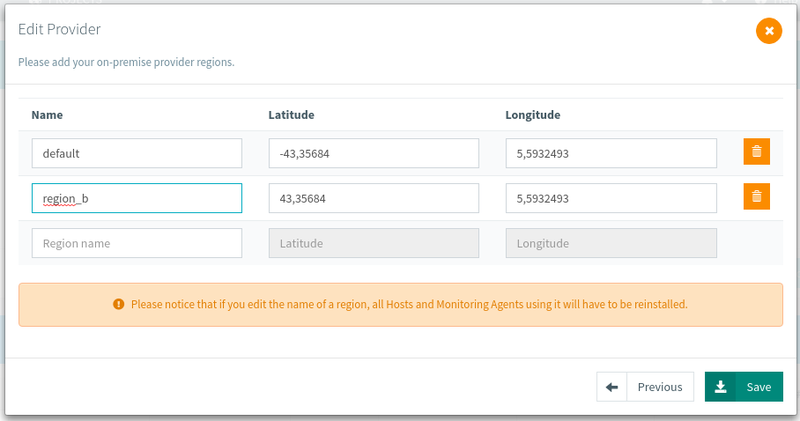 Creating different regions is the best way to differentiate monitoring agents. Creating a region for each one of them will make their selection much easier. The region name will be used in a command line later on. Because of this it can only contains 'a' to 'z characters (lowercase only) and underscores. Spaces are not allowed. Once the on-premise provider created, you can add Agents.